Is a psychologist and Special Needs educator, passion by social work and part of the board of the organization Paz Joven Guatemala, traveling and working with adolescents and young people in 20 states of the country. She gives self-esteem, identity and Sexual and Reproductive health conferences to them. The organization promotes and creates opportunities for training in values ​​for built and lives in a culture of peace, political participation and integration in the formal spaces of decision-making at local and national levels, young people actually have the ability, the strength, the energy, the talent and empowerment needed to generate significant changes in our country. The work focuses on rural areas, and the 350 volunteers who are part of the organization are those that perform various activities to inform their communities about various topics such as advocacy, sexual and reproductive health, teen pregnancy, social responsibility. Work on new technologies is essential because very few people in rural areas have access to it, so we work in creating audiovisual material created by adolescents and young people promoting different topics. We won WSYA 2013 by creating a platform that informs and empowers women of rural places in sexual health issues, where it is really difficult talk about those topics, mostly if you are a girl and minor. We made it through text messages, which they can respond anonymously and their doubts are resolved. 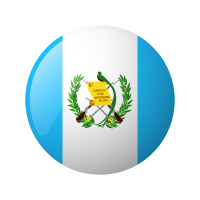 The project “connecting for my health” was possible by the alliance and support with UNICEF, Guatemala. Personally she believes that providing opportunities to interact with technologies, it also help them for growth when education and culture does not meets a proper role.